In today’s IP centric telecommunication environment, using VoIP Gateway is a common method for businesses looking to bridge VoIP technology into their communications network, making business operations much easier and more efficient with reduced cost. Different types of VoIP gateways are needed for different scenarios. To better decide which VoIP Gateway you need in your scenario, let’s dig into VoIP Gateways first. A VoIP gateway is a hardware device which converts telephony traffic into packets of data for transmission over the internet, acting as a bridge between an IP network, the PSTN (Public Switched Telephone Network) and the cellular network. Depending on where the voice traffic originates from, a VoIP gateway will convert the voice traffic into the proper form for receipt by the destination network (IP, PSTN, or cellular network). For example, if the voice traffic is originating from the IP network, the VoIP GSM Gateway will convert the telephone signal to the cellular network, then back again. It is implemented through the use of GSM-gate together with office phone systems, which are based on VoIP technology. Till now you may have a general understanding of VoIP Gateways, let’s take a deeper look into the different scenarios using VoIP Gateways. FXS VoIP Gateway can be used to connect the traditional analog phones and fax machines to a VoIP phone system. 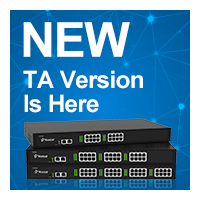 It expands more FXS Ports for PBX to connect more analog phones and provides a simple and cost-effective way to wrestle extended returns from the existing analog phones or fax machine. So how to migrate analog phones via FXS VoIP Gateway? See the configuration steps in the video below. FXO VoIP Gateway can expand FXO ports for PBX to connect more PSTN lines, making and receiving calls through PSTN channels, even when power is lost or Internet service is down. For businesses with multiple branch offices, FXO VoIP Gateways keep local calls local when connected to a centralized IP PBX at the main office, utilizing the local landlines to eliminate long distance charges. Check how to connect Yeastar FXO Gateway to an IP PBX in the video below. It is preferable for businesses pursuing a higher call quality and availability to use PRI lines. 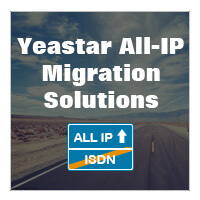 A VoIP Digital Gateway makes it possible to connect their VoIP phone system, for example, Yeastar S-Series IP PBX, to E1/T1/PRI lines. You can check how to integrate a VoIP PBX with Yeastar TE Series E1/T1/PRI VoIP Gateway in the video below. VoIP GSM Gateway uses SIM cards and connects with a cellular tower. Depending on the generation of the wireless technology, it converts the 2G/3G/4G connection to SIP and provides the connection as a trunk to a VoIP PBX. VoIP GSM Gateway is ideal for remote locations where you have the cellular connection but no Internet. In this case, with a VoIP GSM Gateway, you can create and run an entire remote phone system off of back up power and a cell tower. 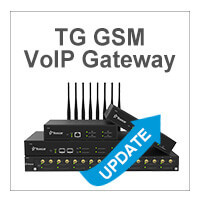 The video below will show you how to connect TG VoIP GSM Gateway to your phone system. In the near future, the traditional landline network (analog, ISDN) will be deactivated. It will be replaced by All IP, a standardized next-generation network for every type of communication and data exchange. In some countries, the conversion to VoIP is already almost finished everywhere and the ISDN switch-off is thus almost fully completed. VoIP gateway makes it possible to still use all the analog devices by connecting ISDN or analog PBX with a SIP trunk, thus all UC functionalities are optionally available. With a better understanding of what a VoIP gateway is, how it works, and the 5 different scenarios we introduced above, choosing the right VoIP gateway to fit into your modern VoIP communication system can get pretty clear now. You’re set to invest in the hardware that will undoubtedly improve your business operations and reduce the costs.